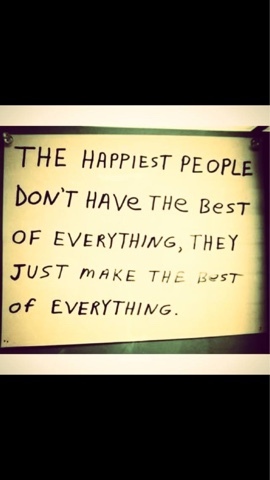 Find a little happiness today! Week 2, Day 5. Put a Little Happiness in each day! Yesterday I asked you to define happiness for yourself. Now that you know what it will take to be happy, go get it! One of my goals was to one day sit at my desk and write overlooking a lake on my property. Don't you know, at my apartment back in 2009, I had a little lake outside? I put my desk up against the window and wrote my first published book: Love Letters. You can find little pieces of happiness. If you would like to be wined and dined- take yourself out to dinner or arrange to meet up with friends tonight. If happiness is feeling in control of your finances, make a budget today. If your dream is to write a book: start the outline or ask a friend to hold you accountable. If it's smaller numbers on the scale or blood pressure machine; get moving- go outside for a walk or join a gym today. Sprinkle a little happiness in your day today and before you know it you will be happy. And watch those blood pressure numbers go down! Life is made up of moments. Decide today to make those moments count!